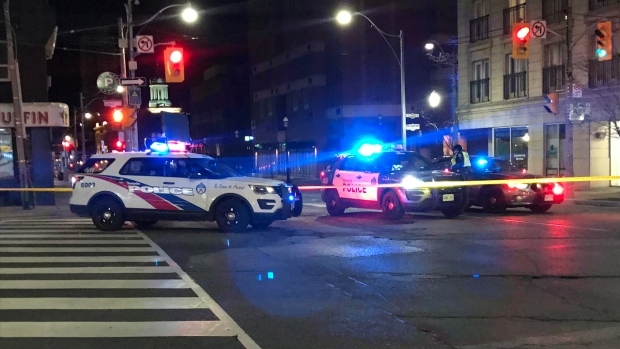 A male pedestrian reportedly suffered a head injury after he was struck while crossing Jarvis Street in downtown Toronto early Friday morning. Police said they were called to Jarvis Street at Richmond Street East after 3 a.m. for a report of a pedestrian struck. They arrived to find a male suffering from what appeared to be a head injury. Police say the driver of the SUV involved remained at the scene. The intersection opened to traffic by 4:30 a.m.